Never having visited the Kamberg area before we set off with great excitement looking forward to a weekend of peace and tranquility. Once we had turned off the N3 towards Rosetta we started to feel the stresses of the city ebb away as the open expanses met our view. The sign 'Welcome to the Kamberg valley' coincided with the lush green valley that wound its way on either side of the road. The other sign beware of potholes certainly rang true as we had to focus and manouvre our way through the mirrad of potholes that loomed large around every corner. Not being able to soak in the beauty of the winding valley and and expanses of water due to the treachous road, we looked forward to arriving at our final destination. Departing from Durban the trip is about two and a half hours. 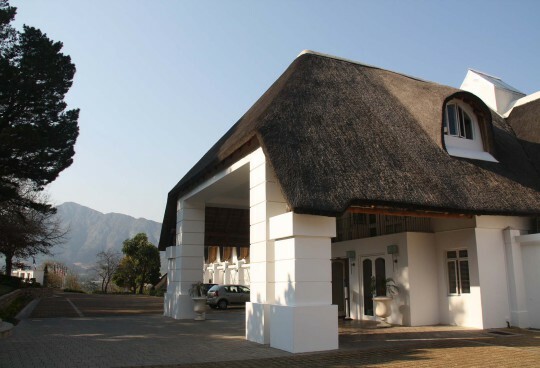 After turning off the 'tarred road' at the Kamberg Rock and Art Centre sign, you need to travel on a gravel road for approximately 1.9 km's before arriving at the lodge. 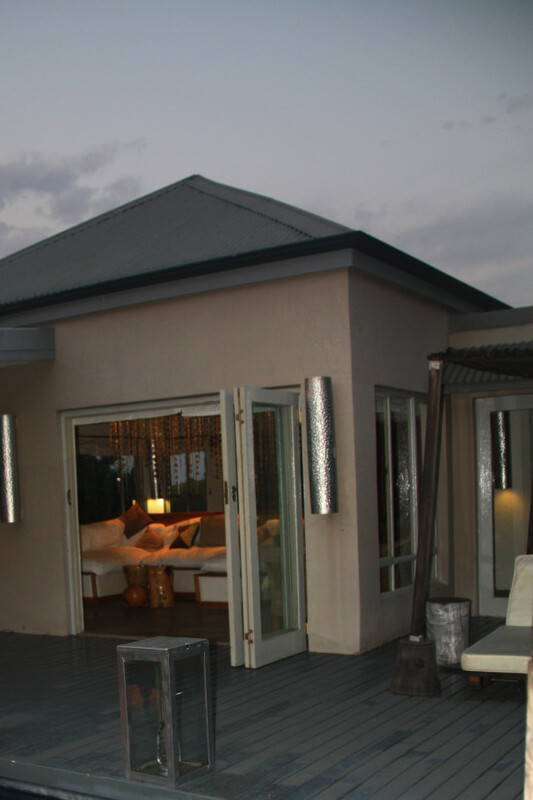 The lodge is set against the back drop of the Drakensberg mountains. Having entered the property the road from the gate through to the lodge is steep and slightly trickery if you are not driving a vehicle with reasonable ground clearance. We were met at the entrance to the lodge by the manager, while our bags were taken to our room. We were taken for a tour of the main lodge areas. 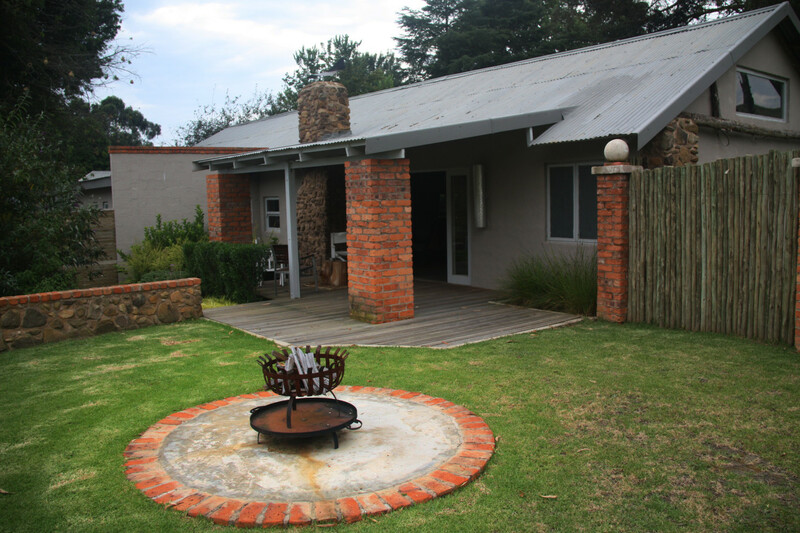 The lodge has been restored and renovated previously being an old farm property. 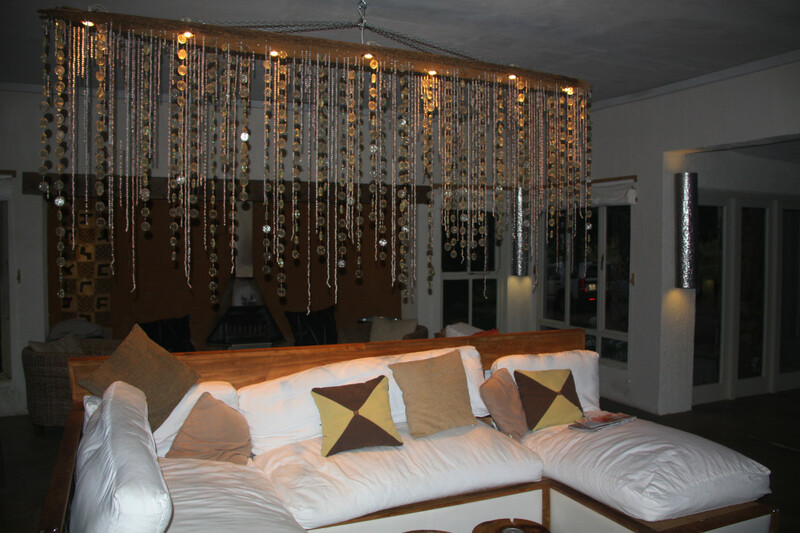 The main area of the lodge has a nice open flow and modern feel while capturing an African eclectic feel. The Chill Lounge opens through to the pool deck area which joins the dining room area and show kitchen, walking through this area leads through to their TV Lounge, bar and function room which also can be used for Weddings,etc. The views of the nearby mountain with mountain Zebra and the odd baboons offer a pleasant backdrop and view from the deck. There are three external suites and two internal rooms in the lodge. The two internal suites are off the dining room area, with the three external suites being relatively close to each other. While the rooms are designated as suites, they are rather small and cramped as they have kept the original structures with a small bathroom add on. The rooms do not really complement the rest of the lodge. The lodge is advertised as part of The Portfolio Collection, but does not unfortunately live up to the expectation that one would expect from a lodge in the Portfolio Collection. 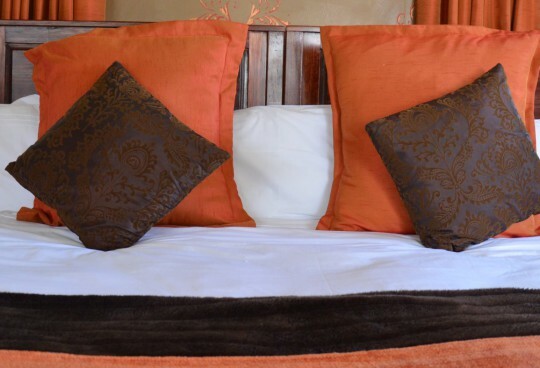 The linen on the queen size beds were scant and provided little luxury or cover. The rooms had no fan or air conditioning making them warm and uncomfortable to sleep in. The falling rain outside further served to heighten the humidity and make the experience even more uncomfortable. The close proximity of the outside rooms allow voices to carry, not allowing for much privacy or seclusion. There is little to no privacy if one tries to sit on the external verandah to the room or leave the window open for fresh air. The dining area is realitively small which means that that the five tables are closely situated allowing little to no privacy for discussion at the table. The menu for dinner on the first night created expectations which unfortunately it did not live up to when the meal arrived. Our host offered us a drink on the first night and thereafter we had to ask on each and every other occasion. The steak was overflown far from medium rare as requested. Breakfast the following morning was a moderate affair. The cold buffet offering was scant and one felt that if you took too much of the fruit that there would be nothing left for the other guests. Warm milk to go with the cereal left one looking for other choices. The hot breakfast was a very standard affair. The lodge does not offer a lunch as part of the package, and whilst we were keen to find out from our hosts whether we could order something extra, they were nowhere to be found. Eventually through enquiring via other guests we managed to order a cheese and biscuit platter with a glass of wine to sit and enjoy on the deck. Dinner on the Saturday night also turned out to be a disappointment. Much thought has gone into parts of the decor of the main lodge, but unfortunately the overall experience does not come anywhere close to a five star experience. The lodge has a beautiful setting and the short walks through the nearby forest with wooden deck could do so much for the lodge. 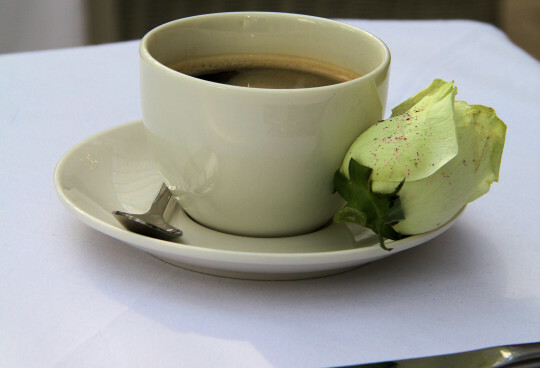 There is much potential but they need to revisit the fine detail, and ensure that every aspect of the guest interaction is revisited.